Pittsburgh-based Redmorph announced its foray in India earlier this year with ‘The Ultimate Security & Privacy Solution’, its comprehensive privacy and security app for Indian smartphone users. Redmorph has now equipped its app with more features improving its efficacy. The app offers a unique all-inclusive solution for smartphone users to get proactive control over not just privacy but over security aspects as well. Redmorph’s ‘The Ultimate Security & Privacy Solution’ app allows users to control and protect their privacy and security online with its data security, privacy protection, firewall control features. 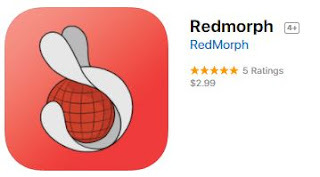 Contrary to the workings of an antivirus which maps signatures, Redmorph’s app takes a proactive stance with its advanced machine learning based algorithms to detect and block nonessential network activity and stop suspicious background activity of apps. The updated app now comes equipped with the ‘Sentinel’ feature which seeks to address cloak & dagger exploits such as ransomware, phishing for banking credentials, etc. With the explosion of unverified side loaded apps, mobile app collusion is on the rise. Malicious apps can also sneak past Google strict testing before being listed on their Play Store. Recent examples include ExpensiveWall and Bankbot malware hiding inside apps on Google PlayStore infecting millions of unsuspecting users. Get alerted if an app is trying to read or change another app’s screen. Some malicious apps can read everything on an app in use including private messages, financial information, pictures etc. This function is designed to assure logins are not compromised, you aren’t tricked into giving your credit card number or your private chat isn’t snooped over. Respecting the data privacy of users, Redmorph doesn’t store any personal information of users. All protection activities are done locally on the user’s device. Proactively protects against all unwanted 3rd party connections, trackers, virus, malware, ransomware, adware, trojans, and malicious background activity. Apps downloading may be playing mischief behind the users back. Now it’s possible to see which apps are connecting to the internet and to which server specifically. The GeoIP feature clearly shows the Geo Location of the servers that apps or the user’s device is connecting with in the background. The SpyderWeb feature enables real time tracking of potentially harmful apps, blocked apps and various apps which can be interlinked. Customize settings of which app can connect to which server. Get full control over what is allowed or blocked. “The mobile platform itself has become the perfect illustration of physical and digital convergence. Today privacy has become a precursor to security. Consumers need to act accordingly and sparingly press “accept” while granting permission.” Commenting on the new features, Abhay Edlabadkar, Founder & CEO, Redmorph said. “Our innovative new features like ‘Sentinel’ aim to raise the consumer’s awareness, safeguarding private information while enabling full functionality of your favorite apps and sites to ensure a safe mobile first experience.” he added. Redmorph is a partner of Carnegie Mellon University's CyLab Privacy and Security Institute. As a CyLab partner, Redmorph advises and collaborates with Carnegie Mellon researchers on cybersecurity topics of importance. ‘The Ultimate Security & Privacy Solution’ is offered for free on a trial basis for 14 days, post which the consumers have the option to subscribe at INR 50 per month. The app is available on Google Play store for Android smartphone users.